NATO combat role ceases in Afghanistan. 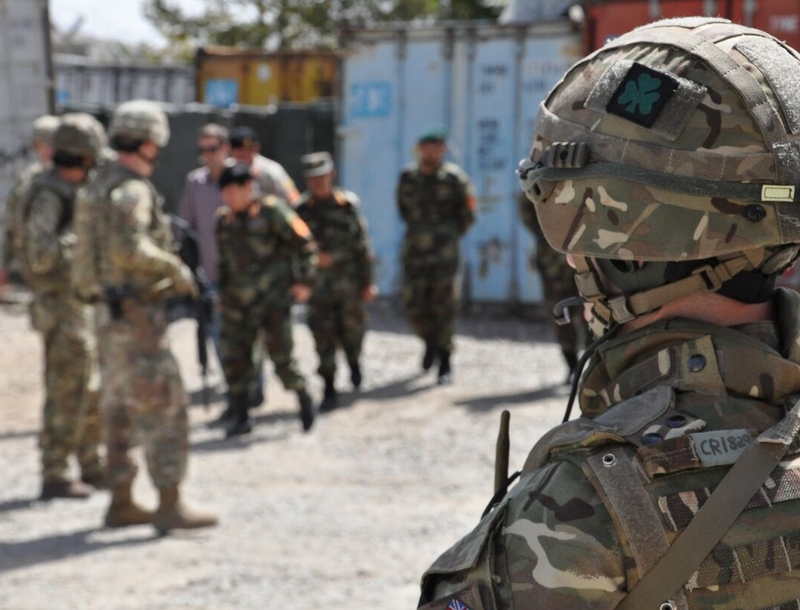 The 1st Battalion The Royal Irish Regiment (1 R IRISH) contributed the international Kabul Protection Unit (KPU) providing transport and security support for Op RESOLUTE SUPPORT; the NATO mentoring operation to train, advise and assist the Afghan forces. The 1 R IRISH KPU operated in the high-profile city of Kabul with a local population of some 5 million and a large expatriate community engaged in military and civilian aid programmes; the latter an attractive target for both the Taliban and the self-styled Islamic State. There was an ever-present threat from both suicide bombers and vehicle-borne improvised explosive devices - otherwise known as car or lorry bombs. During the eight-month deployment, Op TORAL IV, the Battalion Headquarters deployed for the full period with A and D Company undertaking the first rotation and B and C Company the second rotation. A typical mission was to provide security for advisers, mentors and their interpreter who were conducting meetings with important government officials and high ranking officers in the Afghan National Army or Afghan National Police. Assistance was also provided directly to the Afghan National Defence & Security Forces on three occasions, including in May 2017 after a truck bomb killed 150 and 1 R IRISH assisted with medical evacuations. Op TORAL IV was a mechanised operation as the Foxhound was the vehicle platform used by the Kabul Protection Unit and 1 R IRISH was the first battalion to deploy operationally in the Light Mechanised Infantry role. 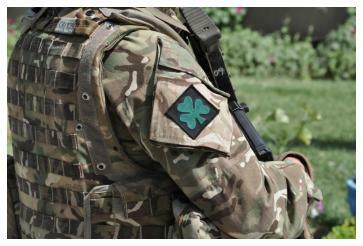 The deployment was 1 R IRISH's third tour of Afghanistan, not including its significant contribution to Op HERRICK 4. The tour differed from the previous experiences in Helmand as no rounds were fired during KPU duties.